Out of the £9.75bn total value of government projects currently using Level 2 BIM, the bulk come from the Highways’ Agency’s £6bn portfolio. The rest is made up of Ministry of Justice projects worth a total of £760m, £900m from the Environment Agency, and £13m from the Education Funding Agency. One official government BIM “early adopter” project is the Highways Agency’s £174m project to build a new 6.5km dual carriageway in Cheshire – the A556 Knutsford to Bowdon Improvement Project. The scheme was the subject of a presentation to the ICE’s BIM Conference on 29 October, which was attended by more than 400 delegates. Costain BIM and design manager David Owens delivered the presentation on the digital prototype of the proposed A556 works and the progress the Highways Agency has made in implementing BIM-led working and achieving the 20% cost savings it is targeting. 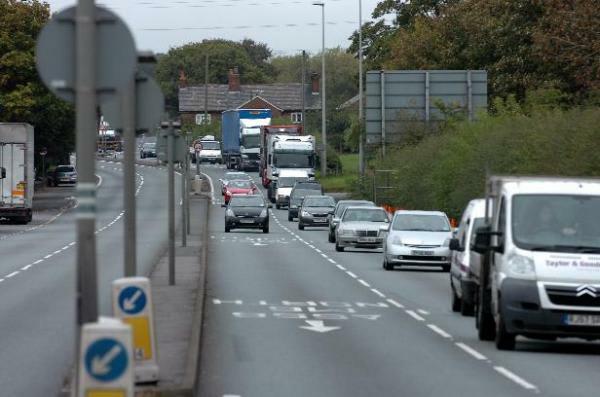 The new dual carriageway will run between Junction 19 of the M6 near Knutsford and Junction 7 of the M56 near Bowdon, taking commuter traffic travelling to Manchester away from local villages and removing traffic jams. It was granted planning permission in August 2014. Work on the two-year construction programme is currently underway, with the new link road expected to open in 2016/7, following the completion of the Early Contractor Involvement phase of the scheme. As a Highways Agency early adopter project, the A556 is helping to meet the UK government’s requirement for Level 2 BIM maturity as part of an agency-wide BIM strategy. Owens was instrumental in helping to devise a BIM coordination model linked to asset data from an external database. The external data can then be embedded into the BIM coordination model at any point to give a snapshot of the project to facilitate “Field BIM”, where contractors can link further construction data to the model. In March, Owens also became a member of the BIM 4 Infrastructure working group, which is a partner organisation to the government’s BIM Task Group, providing a forum for organisations and industry professionals to share their experiences in putting BIM into practice on worksites.